26th May, 2016 – FACTSHEET #3: The truth about Community response to the South Brisbane Riverside Neighbourhood Plan. 16th March, 2015 – Contribution by Andrea Young: one of Australia’s leading social planners whose work has helped to pioneer the integration of social considerations into urban planning and development processes; Principal of Andrea Young Planning Consultants, based in Brisbane; Fellow of the Planning Institute of Australia (PIA); Chair of PIA’s National Climate Change Group. 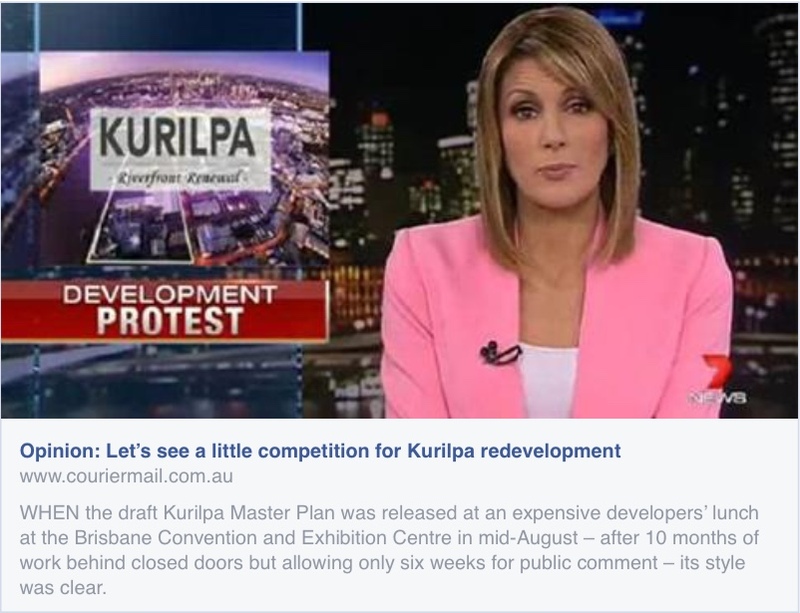 Kurilpa Futures Vision – with modifications resulting from the KFCG’s “Conversations” held on the 6th December, 2014. ” target=”_blank” rel=”noopener”>Check out the story here.